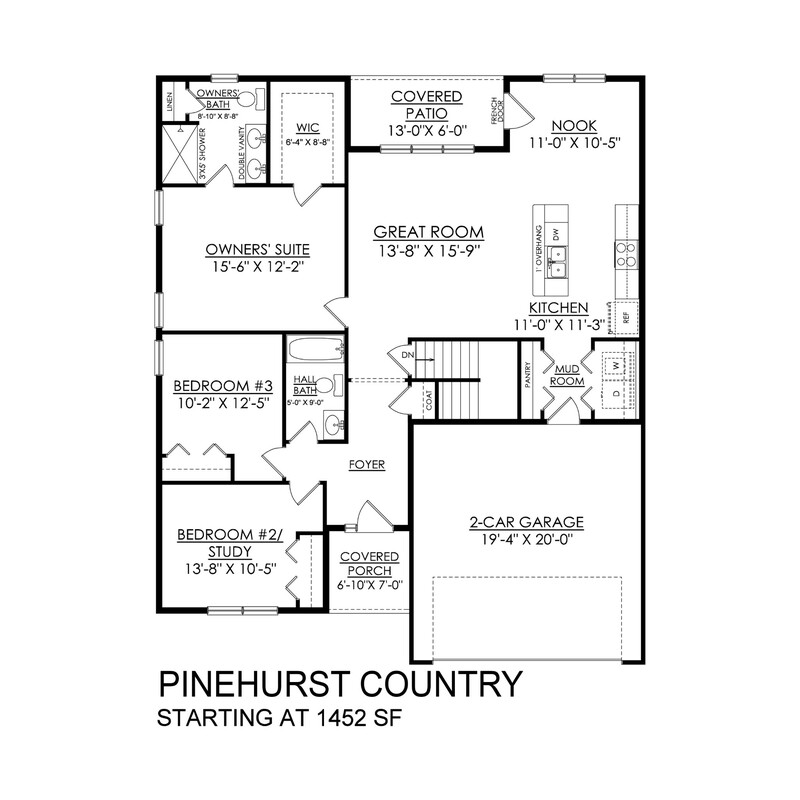 The Pinehurst is a charming ranch-style floor plan with a thoughtful & efficient layout. The great room, breakfast nook, and kitchen are open and connected, so you'll never miss a moment with family or friends while cooking. The kitchen features an island with an overhang, providing seating for guests or for a quick meal. Relax in your spacious great room, which includes a corner fireplace and wall of windows looking out onto your covered patio, which we extended by 6' to give you the perfect outdoor entertaining space.